I’m stoked to be seeing friends and performing in the gala show at the University of Waterloo’s 27th annual juggling festival this Saturday. One of my contact juggling heros, Kyle Johnson (shout-out to Sacramento), will be there. He’s just one of many awesome folks who will be in attendance. It’s a great crowd and a small, intimate festival. If you’ve never gone, check out the festival website and carpool with somebody or find another way to get there. This festival holds a special place in my heart, since it’s one of the first places where I was able to test out a new magic-juggling idea years ago. I really like the informal and fun-focused structure of juggling festivals, which include best trick jams, juggling games (like volleyclub), passing, free workshops, and more formal shows like the one on Saturday night. There’s a beautiful lack of pretense at festivals like this one, which makes it much easier for object manipulators of all skill levels (absolute beginner to absolute pro) to exchange skills and learn new tricks quickly. I’ll be teaching a rope manipulation workshop at the festival on Saturday afternoon and am looking forward to all of the other activities too. The general festival is free for all (click on the link or the image above for details) and the gala show is great entertainment for price. Click here for tickets. 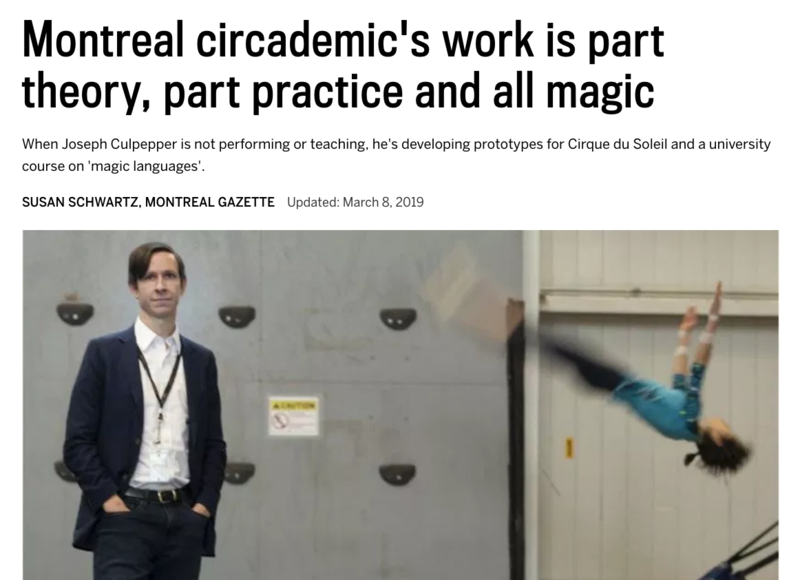 Today, I’m grateful for this profile of my work in the wonderful worlds of magic and circus. Ever since Nathan showed me the first trick that truly mystified me, I’ve worked to learn as much as possible about how to create similar magical experiences for others. Why are we humans are so fascinated by displays of what seems impossible? What is magic? The exploration of these questions continues to be a meaningful journey. 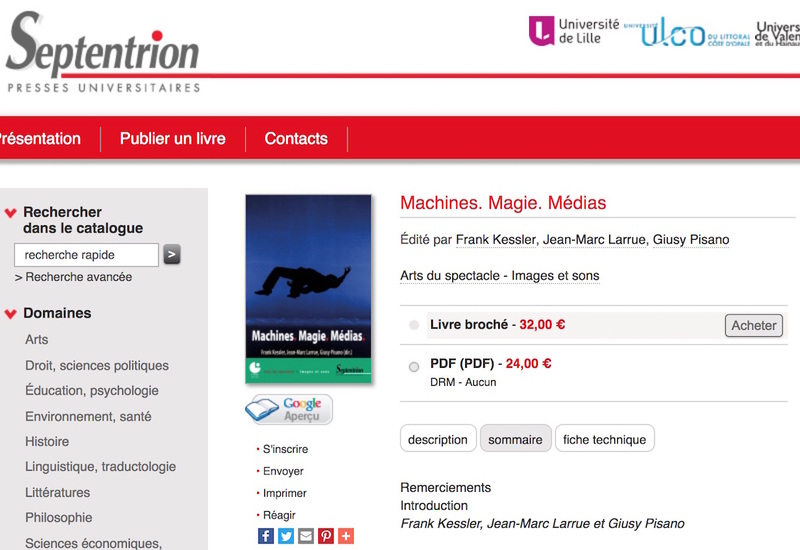 There have been many serendipitous moments along the way: discovering a magic shop in my hometown (Grand Illusions), seeing Quidam in Berkeley, California, at 16, meeting David Ben and Julie Eng in Toronto, meeting circus scholar Dr. Patrick Leroux at Concordia University, collaborating with Patrice Aubertin, Daniela Arendasova and Eric Langlois at the National Circus School, learning from Boris Verkhovsky at Cirque du Soleil, and benefiting from the wisdom and guidance of so many extraordinary people in this alternative universe that we somehow inhabit. It’s a good day when the industrial partner you work for as part of your postdoc invests in a magic entertainment company. Sophie Haigney’s article for the New York Times reveals some of the thinking behind this acquisition. The Works Entertainment has produced shows like The Illusionists and Circus 1903, which feature a variety of magic disciplines (a comedy magician, an escape artist, a manipulation act, a stage illusionist, a mentalist, etc.). This model fits Cirque du Soleil’s variety act model, which contrasts with solo shows like David Blaine’s, Darren Brown’s, and Michael Carbonaro’s recent celebrity magician tours. 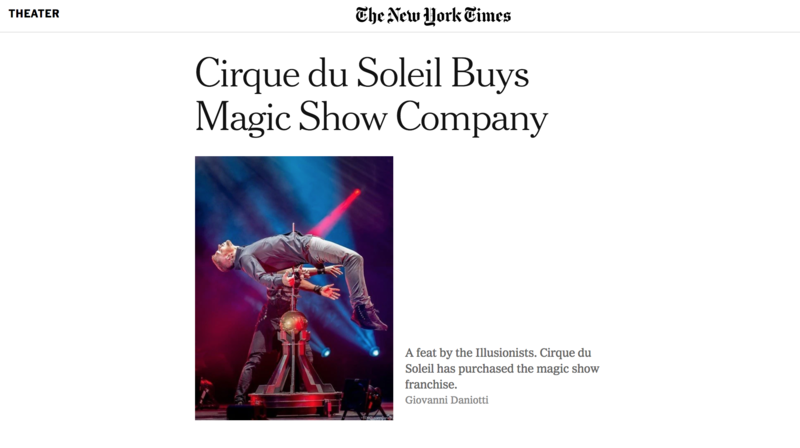 Looking at this development in the entertainment world from the other direction of the sale is also interesting: The Works Entertainment has never only produced magic shows. 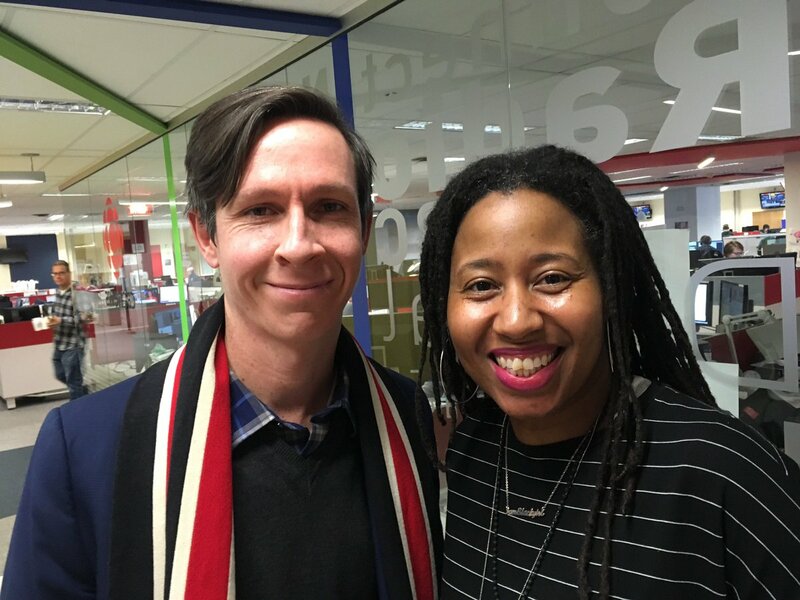 Simon Painter and Tim Lawson’s production company also has Cirque Noir, Cirque Adrenaline, The Unbelievables, Cirque Paris, and A Magical Cirque Christmas under its belt. 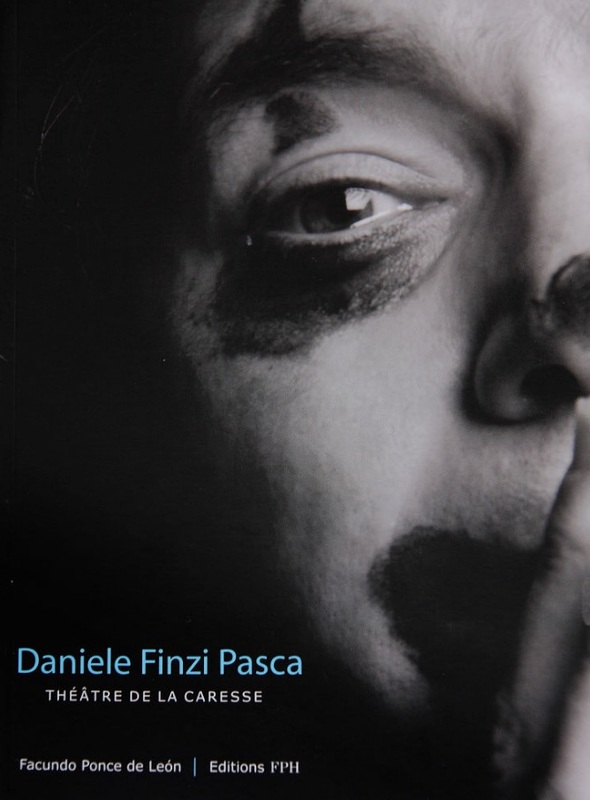 As the genres and disciplines of live entertainment continue to mix, overlap and mash-up, the amalgamation of these two companies and their magic/circus productions makes sense. 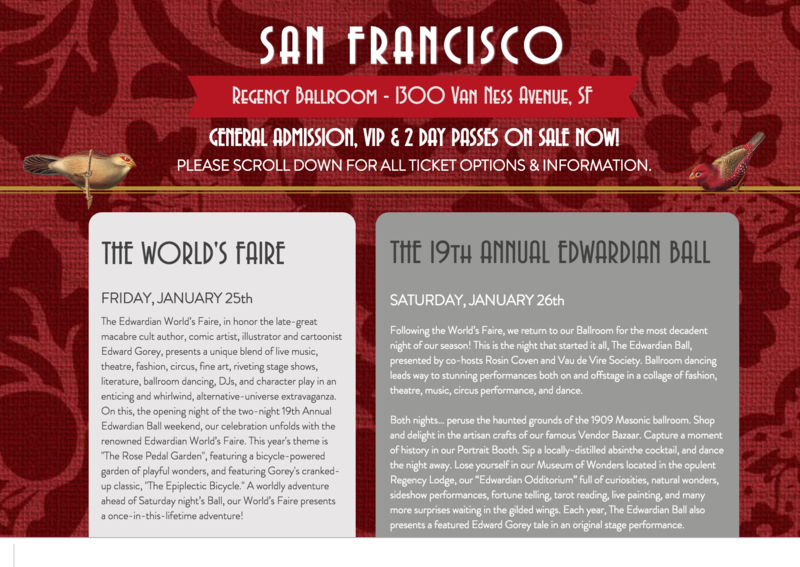 I can’t wait to perform strolling and stage magic at the Edwardian Ball in San Francisco’s beautiful Regency Ballroom on January 25 and 26, 2019. If you’ve never been to this Paradox Media event or this historic venue, I highly recommend it. 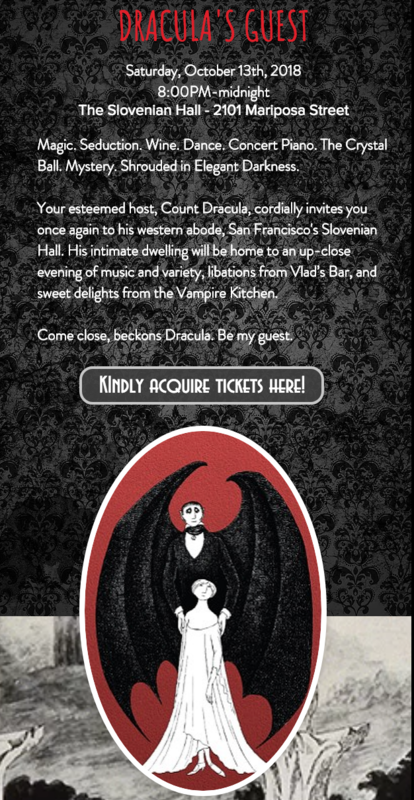 The Edwardian Ball celebrates both the Edwardian period as well as the delightful and macabre style of Edward Gorey. Click on the image above to experience what it’s all about and don’t forget to dress up! 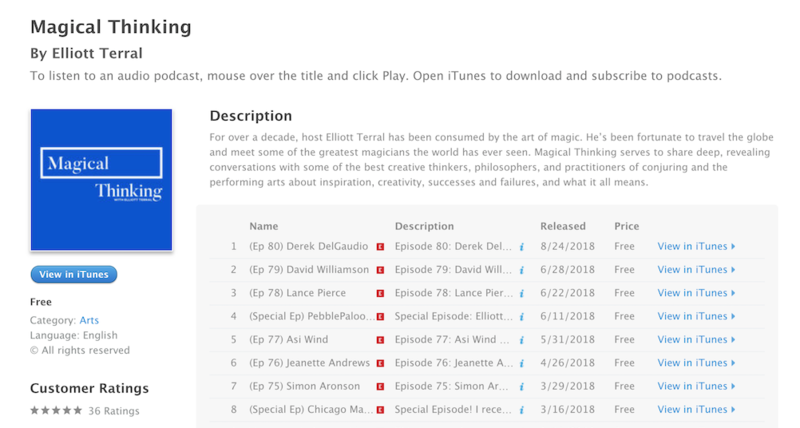 I’d like to take a moment to recommend Elliott Terral’s wonderful podcast Magical Thinking. Magic podcasts and audiobooks are finally beginning to appear in larger quantities and with greater regularity nowadays, which is a wonderful way to spread a deeper understanding of the art. Terral is a young US magician based in Los Angeles, which gives his podcast a different style and flavour compared to UK magician Richard Young’s The Magician’s Podcast (mentioned in an earlier post). Having listened to every episode of each podcast (I listen to them on my daily commute to and from work), I encourage those interest in gaining a more intimate understanding of how the magic industry operates at every level to do the same. 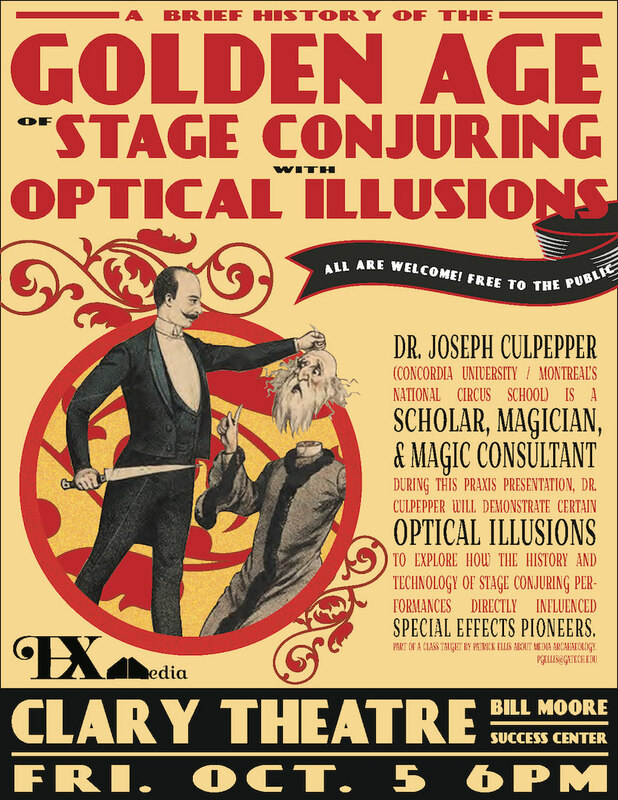 It’s amazing what you can learn by listening to the fascinating ups, downs and lives of the magicians interviewed and the topics explored during these smart, silly, and sometimes shockingly unguarded conversations.